If you frequent Snapchat, Facebook, or Instagram, then you’ve probably posted on a story or two. Stories have been on the rise for both personal and business accounts. If you’re not posting behind the scenes content, live video of your product, or posting event coverage, then you need to start! 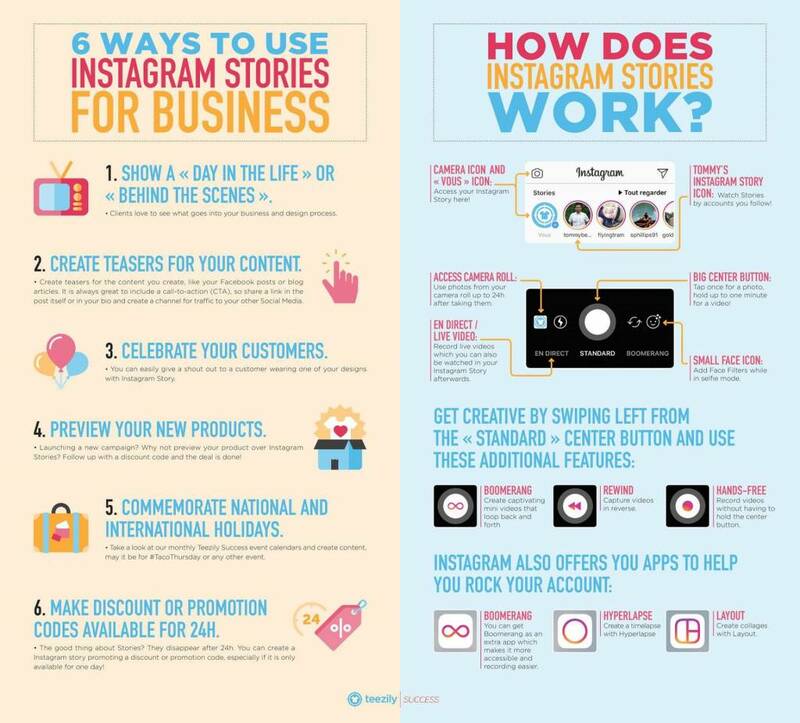 If you’re wondering how your business can benefit from incorporating stories, then keep on reading for our tips! Snapchat began the trend of “stories” in late 2013. From emojis to funny face filters, Snapchat definitely laid the foundation for a social media trend that would stick around for a long time. They are ever changing with new features being added all the time. Great for your business because in today’s day and age nothing is static and interacting with your customers is the best way to create those much needed connections. As of 2019, we now have Facebook, Instagram, YouTube, and Snapchat stories as well as Whats app and Facebook Messenger highlights. All of these platforms are great for exposure, but finding your niche in each is important to stand out from the rest. For instance, taking a look at your target demographic and deciding who you are selling to specifically on Instagram or Snapchat can help filter the content you post on stories. 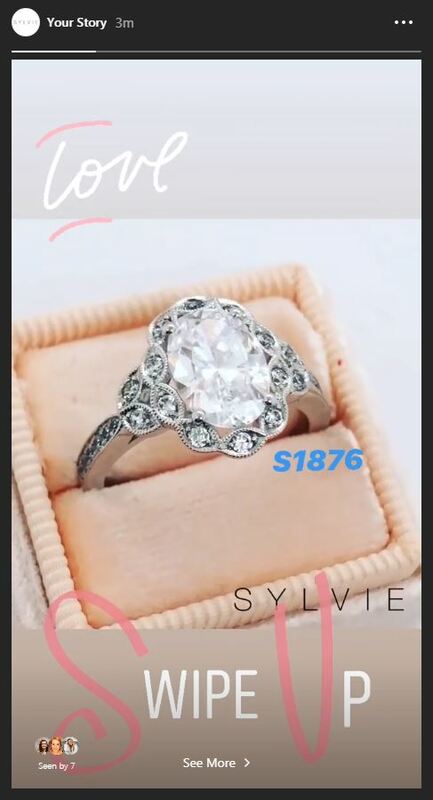 You might say that a more mature target market follows you on Instagram so you want post more inside looks and event coverage than on Snapchat where you can post more merchandise and guest influencers. However, it’s always good to interchange your content and post on all the platforms. Retail is one of the most active areas on social media along with fashion and fitness. Not only is online marketing something you can’t miss out on as a business, but stories are a top priority. They allow you to connect with your audience, demo your products, and create a call to action that will build brand loyalty. 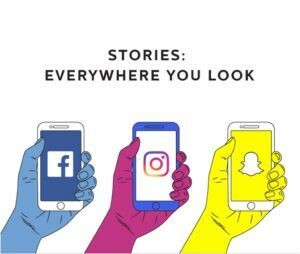 As of January 2019, there are 500 million daily active stories from users worldwide. Your stories need to incorporate some type of call to action. For instance, swipe up to purchase or click the link to learn more about our products, etc. 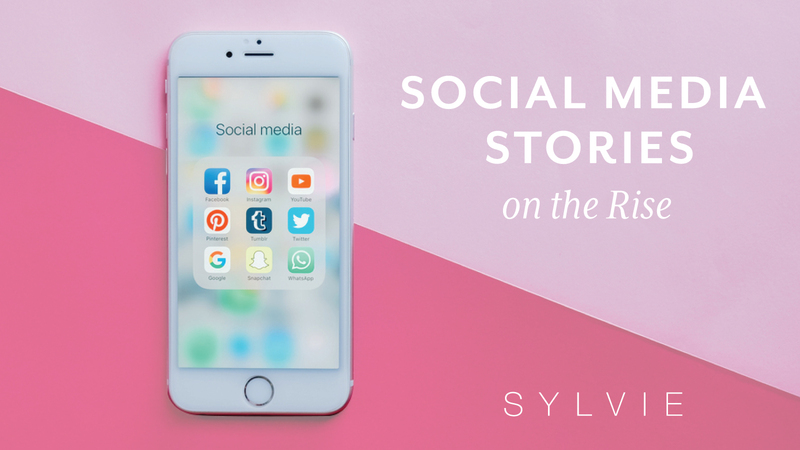 You don’t have to be following the brand to see their stories so this is a great way to reach a new demographic and introduce your products to a fresh set of eyes. One think you should note as a business: you will need at least 10,000 followers to utilize swipe up links, which are essential to getting a new audience or your current one to your website from your story. It eliminates the steps and makes it easier than ever to be redirected. 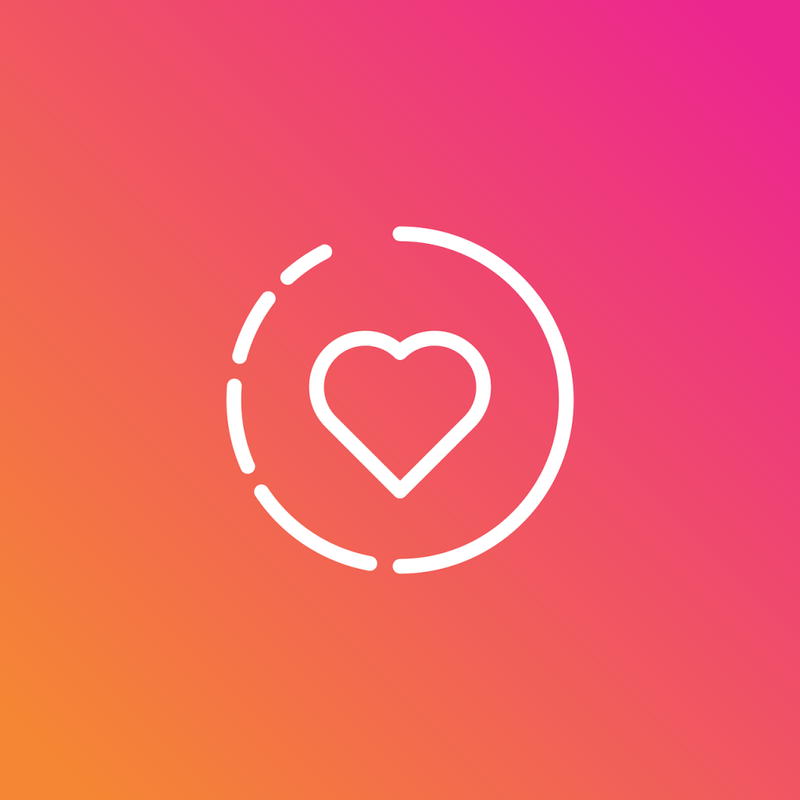 With posting stories all day, you’ll always be at the top of someone’s feed with a red circle around your profile picture. You’ll not only stand out, but will always be in front of their face. This means you can post anything from events to enjoying a moment with your sales team. Your audience wants to connect with you and the easier you make it for them the more comfortable they will feel communicating with you and being in the store. As a business account you should also be incorporating ads for your stories. You can put out sponsored posts in the same way you do for your regular spots. 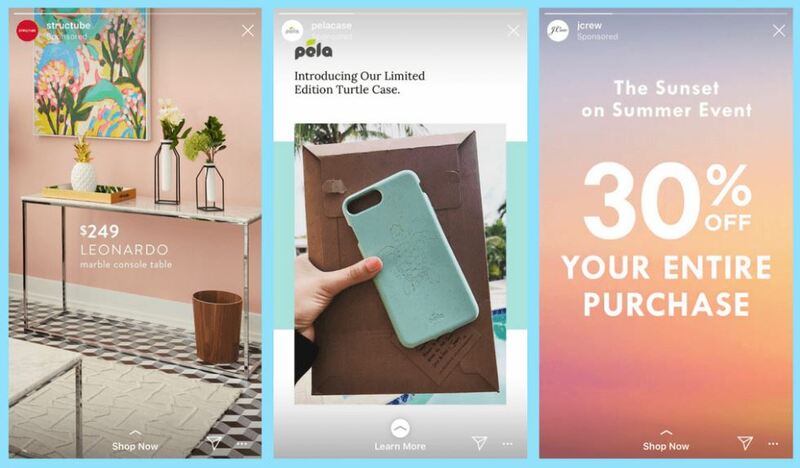 This feature launched in 2017 and brands have never turned back. This feature allows you to reach out to people who are looking at relevant or similar posts as yours. It will place your stories in their feed and in between other stories they are watching. With that swipe up link, you have the opportunity for a new user to swipe up and see what your brand is all about.